If you could only eat at one restaurant for the rest of your life, which one do you choose? Give me details! I want to know the meals you would eat, and why you would pick this menu and atmosphere above any other. It can be any type of food in any city anywhere in the world, but remember -- you can only choose one! Gosh, what a hard question! I mean, I'd want variety, yet the places that have great variety often come at the expense of doing anything really really well. Okay, let's throw healthiness out the window! In Europe: Mother -- I do really love pizza and think I could eat it every day. They have so many different pizzas, plus beer, plus wine, plus cured meats and breads, and I'm sure they could make me a salad when I explained that it was the only place I was allowed to eat ever again! In Asia: Fuchun Xiaolongbao -- I ate so many xiao long bao in China that I thought I would make myself sick. I did NOT get sick! I am therefore confident that I could eat it for the rest of my life with zero side effects... :) In North America: In-N-Out Burger -- Remember where I said I didn't care about health? Okay, then! Give me animal style till my heart gives out! I'll just have to run like 15 miles a day to make up for this. Jeez, I've really revealed how healthy my food choices are. Don't judge me too much! I've always said that if I had to choose one cuisine to eat for the rest of life, it would easily be Japanese food. Save for the mercury and sustainability issues, it would specifically be a type of Japanese food that involved raw fish. That being said, I had never found a Japanese spot that I would say, hands down, we're getting married. That is, until I went to Iyasare in Berkeley last night. This is the one dish that caused me to have a come-to-Jesus moment and sealed the deal: the Ocean Umami. It has scallop, uni, ikura, pickled wasabi leaves, and nori seaweed ponzu. Gorgeously plated, every bite was as amazing as it looks. These are great answers and I loved reading them! To answer my own question, if I could only eat at one restaurant for the rest of my life, it would hands down be at the Badjao Seafront Restaurant in the Philippines. What makes this place so great is that it's out on stilts in the middle of the ocean and everything is so incredibly fresh. Fishermen bring their fresh catch every day ranging from fish, lobster, wild shrimp, and fruit from farms brought in on little canoes. The menu changes all the time because the chef cooks whatever is brought in through the door. I had tiny sea snails cooked with calamansi orange and hot chiles with fresh coconut milk, grilled tuna collars over coconut wood glazed with rice wine and tamarind. I mean, this place is awesome. It's cheap and great food. Doesn't get better than that. My vote is for Mama's Fish House Restaurant Here's my reason. 3. It's big. I could move around the different rooms to mix it up. Sit inside or out... sit at different bars even. That's a bonus. Awesome spot! My parent's favorite as well. I would pick L'Auberge de l'Ill. I would regularly have Sunday lunch there with all the families. On a nice day, I would start with an apero, probably a glass of pinot blanc, down by the river. with a glass of Alsatian Pinot Noir. After the great cheese tray, I would finish with one of the fine desserts. Finally I would return to the terrace for a cafe and perhaps a digestif. It's a great way to spend the afternoon. It has to be Sage Restaurant in Midleton, Co. Cork, Ireland. Chef Kevin Aherne grounds the restaurant in his 12 Mile ethos - the vast majority of produce is sourced from within 12 miles of the restaurant. All the poultry is free-range, all the fish is either trawled or line-caught off the coast of East Cork, the beef, lamb, pork and goat is all local too. Kevin himself forages the land and seaboard to add to the produce from local growers which appears on his menu. I'd start my meal with Free-range chicken terrine, beetroot jelly, sourdough and pickled shallots. Then follow it with Woodside Farm pedigree free range pork shoulder, apple, smoked goats cheese potato, crackling and carrot. If I still had room for dessert it would have to be the divine 'Midleton Milly Filly' (purposely calling a mille feuille a 'milly filly' is a mischievous touch Midleton natives would understand - even the humor is 12 Mile!). At Sage you truly 'eat with the seasons' with each ingredient lovingly and creatively elevated to a better version of itself. The cooking and presentation is exquisite - creative and solid in technique without any of that pointless fluff and faff that has become fashionable in some establishments. Every element of each and every dish serves a purpose and contributes to the whole. Look good it certainly does, but the food in Sage delivers every time in terms of taste, creativity, technique and combinations. My vote is Commander's Palace Restaurant That place is classic New Orleans with some contemporary Southern twists. In a city with world renown food, this place is at the top of the list of best eats in the Crescent City. I always aim to get a lunch reservation for the 25 cent martinis and a good 3 course meal. Highlights from past visits include: chicory coffee quail, pork belly & oysters, turtle soup with aged sherry, and if i'm able to stuff more food into my stomach I usually go with a dessert of creole bread pudding soufflé. Some of menu items are on the rich and not so healthy side, so I would be eating like a king everyday for the rest of my shortened life span. Let me put it this way, i'd go obese for this restaurant! This is one place that I unfortunately did not get to try when I was in NOLA, but did hear the wonders of. I need to try it. Great answer! For a total culinary experience every night (if I had 4 hours each night to dine and an unlimited supply of money), I would without a doubt select The French Laundry because it is just that amazing and the menu changes daily so you know you won't get bored. If I was going the smoked food route, I could not live without Bounty Hunter Wine Bar & Smokin' BBQ in downtown Napa. I love the location, small cozy dining. Amazing wine selection, and I am quite certain that I could not live without ever having their beer can chicken again in my life. Burgers, glorious burgers. Gotta go with Stuft A Burger Bar in my town. It's local, has absolutely a TON of topping options (strawberry jam, fire roasted peppers, corn! ), let's me select buffalo as my meat and top it all off with a pretzel roll as the bun. Since I assume I'm dining in, they have plenty of TV's to keep me occupied with sports of every kind to watch. Lastly, Psycho Suzi's because I absolutely ADORE the tropical drink glasses that change yearly. They have great pizza (with a small but eclectic offering of toppings), cheese curds (which I may not be able to live without), wings and sammies. The tiki-bar feel is outrageous and makes me smile. The patio along the Mississippi River in the summer is all about enjoying life! But if I had to pick just one and only one, I go with The French Laundry just like my husband because it is truly, just that amazing. Everything from the staff, the food, the presentation, the salt options, the wine suggestions, and the four-course dessert just make this place too good to pass up. Great question! True Food Kitchen. Multiple locations in the USA, but I've only eaten at the True Food Kitchen in Santa Monica and the True Food Kitchen in San Diego. Their tagline "honest food that tastes really good" is an understatement...but that's part of the appeal. I am a huge diner fan, so if I literally had to eat in the same restaurant for the rest of my life, I would choose Becky's Diner in Portland, Maine. The breakfasts are heaven- bacon and eggs with a side of French toast. Okay, so for health reasons I may skip the bacon once in a while. Lunches and dinner are delicious too. They have one of the best lobster rolls in the city. Everything is fresh, delicious and impeccably made. We go back time and time again and like any deep and loving relationship - can't stay away too long. I love in NY and we sometimes go up for a weekend to eat at Becky's. Yum! I used to live up the street from Millennium and still haven't tried. I'll have to! Okay, tough but I am a seafood junkie and a Cajun junkie so it would have to be Acme Oyster House in New Orleans!! Chargrilled oysters, raw oysters, gumbo, seafood!!! Yes, that is it and you should disqualify anyone who didn't have the gonads to say just one! Quite possibly one of the hardest questions EVER but, if I had to choose, it would be at Sweet Lady Jane Bakery. I recently tried their apple crumble (ask for whipped cream on top) and it is probably the best thing I have ever had. I could seriously taste the Fall season. There's always room for dessert. Make that your mantra. Great choice. One can never get sick of Chipotle! The L.A. location is being redecorated (which is a mistake) but when it reopens, I'm going to have big plates of their oysters (literally the best oysters I've ever had in my life--we used to consume plates and plates of them), their French onion soup which is insane, and their incredible green beans. Back when he used to take me we would both have steaks and even though I haven't eaten meat in about five years I would still have one there (I can literally taste it right now). We also used split a big plate of their fries which were beyond incredible. Now I really want to go there. Part of the reason I would choose this place is that the people-watching is some of the best in town. It's definitely a Hollywood crowd but so what--it's Hollywood. I've heard the wonders of this place! Tras-patio Bistro Puertorriqueño would be my choice. The food is spectacular. Its Nuevo Puertorriqueno - classic Puerto rican dishes with added flair. Not super exotic fusion, but all unique. I eat there every trip to Puerto Rico. Their menu changes weekly, based on seasonal fresh items. I have yet to have a single thing there in all my visits with the whole family that wasn't perfect. In Lagos n Portugal i have over the past 15 years eaten more than 300 times at Casinha Do Petisco. This is a small hole in the wall restaurant run by Luis Rosa and his wife with the help og one ot two other employees. Luis simply cooks up the best portuguese food on the planet. Portuguese food can honestly speaking be quite bland but Luis does the job to perfection and you can stuff youself for less than 20 dollars at his restaurant. I personally love his "bife a casinha" but his garlic shrimps makes people rave too. Wow! Great question Andrew. I vacillated from simple, to fancy, to my favorite types of food, to my most memorable meals. I almost picked Oklahoma Joe's Barbecue, because I am a sucker for great BBQ. Ultimately, I had to go back to my most memorable meals, which were at Le Bernardin and The French Laundry. The French Laundry wins because there are menu variations every day, the chef picks what I will be eating (I enjoy culinary surprises), and I love Napa Valley. 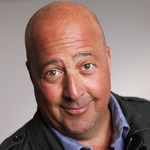 What about you Mr Zimmern??? Fergburger in New Zealand would definitely be a contender. Their burgers are huge and good value for money, there's so much variety AND they are open 21 hours a day. I would definitely fly back to NZ for one- in fact one day I probably will! You just can't go wrong with a good burger. I've heard so much about this place. Bucket list burger joint for me! I would love to spend the rest of my meals at Mama's Fish House Restaurant in Paia, Maui. This lovely restaurant faces the ocean and is housed in a rustic Polynesian shack to take you back to the old days of Hawaii. The local fishermen are listed against each seafood dish so that you know where your meal is from. Everything I've eaten at Mama's Fish House has been divine and unique. Expect to eat amazing local fishes like the Opakapaka, Ono, Ahi, and Papio. The signature cocktails and the tiki setting is a true hula heaven! The most memorable dining experience I've ever had was at The Cliff restaurant in Saint James, Barbados. The service was quietly attentive and the food was flawless. Our table hovered over crashing waves with a gorgeous water view. Perfect for a special occasion (we went for my birthday). Hands down my favourite! If I had to pick one restaurant that I've visited that I would want to make my next, future, and last meals, I would pick Restaurant Torkel in Vaduz, Liechtenstein. I love Liechtenstein for such a small, but scenic country. The restaurant sits just at the top of the Prince of Liechtenstein's vineyards, with sweeping views of the vines, the Rhine, and across to the Swiss Alps. The food was delicious, with different set menus, one focusing on fish, the other more varied, but always fresh and varied. And the prices were surprisingly affordable! Wildflower Bread Company. They're an Arizona company with a handful of locations around the state. They're similar to Panera Bread or Paradise Bakery in that they serve salad, soup and sandwiches but the food at Wildflower is a million times better. Fresher, more flavorful and creative... The bread is baked fresh daily, sandwiches are filling and don't taste like cardboard, salads are amazing with wonderful leafy greens (not just iceberg and romaine), yummy breakfast sandwiches and egg dishes for breakfast and brunch and lovely pastas for dinner... I love everything they serve so would never get bored. It's healthy so I would live a long time. If you ever come to AZ you should give them a try. The only place to eat for me is L'Atitude 51 Wine Cafe Ltd . The food is superb , wide variety and tastes absolutely delicious. As well as their hot menu they do marvellous salads, and really the best sandwiches ever. If you've missed breakfast a cup of tea and one of their amazing sausage rolls is the answer...hot or cod they are the best. Their scones, croissants, and pain au chocolat are also good. The atmosphere is perfect. Its never too loud even when full and I can guarantee that at main eating times like lunch and dinner it is always full. L'Atitude 51 is the place for me. food. Even though it has been there forever, they are also evolving constantly, keeping up with dining trends. And they serve wine and beer. The Kettle is a great place! I ate the best meal of my life in Italy 6-7 years ago. Still chasing that moment. So I figure that restaurant is the natural choice for this question. It also would require me to live in Terracina, which I wouldn't oppose. I don't have any food pic's unfortunately, but I took a photo of my journal from the trip (poor handwriting and all)... to show how much I loved those long shelled mussel things. Shrimp Boat Manny's in Livingston, Texas! Incredible Cajun Seafood unmatched by any other! Mama's Fish House Restaurant - Maui, would spend 10 hours on a plane just to eat, and then fly back home. Great question! I'd eat at Bob Chinn's Crab House in Wheeling (outside Chicago). And ONLY that restaurant at that location. Second choice would be Egg Harbor in the Chicago area. And no, I'm not from Chicago. They sure do have great restaurants, though! I would have to say my restaurant of choice would be domestic restaurant in Shepherdstown, WV. They are fresh, local and amazing. The chef Alyson Zimmeman is divine and has amazing interpretations of traditional flavor combinations. The pork belly, kimchi and haloumi standing in for brats and kraut type flavors during a recent beer tasting was out of this world. The menu is always fantastic and ever changing and the atmosphere is so welcoming I would gladly pick Domestic as my restaurant of choice if I had to patron only one. Wow, there's some great answers here, but I'm just an average joe with an average answer. If there is something that happened in my life which forces me to eat at only one restaurant, ...A zombie apocalypse, the rapture... Chances are I want to die quick and fast and happy. Which is where I can say beyond a shadow of a doubt, I would chose to eat at White Castle every day till my final day. Nothing makes me happier yet makes me feel like I'm about to die at the same time. Being from Texas, if I could only eat at one restaurant for the rest of my life, they would have to serve beef, big hunks of tender, juicy Texas beef. In West Texas, where I am, that restaurant would be Cattleman's Steakhouse. Cattleman's handcuts their beef daily and offer the most flavorful, tender, and juicy steaks and BBQ I have ever had. Plus the view from the patio is magnificent, especially at sunset. Beer, steaks, BBQ, it doesn't get better than that in Texas. The Cowboy, a 2lb behemoth of pure Texas beef. The slow smoked beef ribs, Fred Flintstone sized monstrosities. For me, it's a toss up between Tilia in Minneapolis (because I live here) and qui in Austin, Texas. As far as dining in my hometown, I love the atmosphere at Tilia & their menu is varied enough so I wouldn't get bored-- you can go for big, celebratory dinner or a simple lunch & it just works. One of the most underrated Mpls restaurants nationally. Great beer & wine, too. Qui actually has a lot of the same qualities, with the addition of Asian flavors-- my favorite. Plus, it's in Austin. And who doesn't love Austin? I would have to say Novak's Hungarian Restaurant in Albany, Oregon on buffet night. They also have amazing pastries and cakes. As well as a wonderful iced coffee drink with a cinnamon taste called a iced mygar (spelling). I have been to buffets in Hungary and Budapest. It tastes just the same. Love this thread! Without a doubt - i crave the best duck in the entire world Le Brulot i yearn for this place! You cant get duck like this anywhere in the world. They also have an italian restaurant a few doors down - so you are covered for the rest of your life! Great wuestion - lve watching this thread! It would have to be La Coupole, Montparnasse, Paris, because, firstly, it's in Paris. Secondly, it's a landmark restaurant and teeming with history. It's like eating with Picasso, Hemingway, Fitzgerald and any artist or writing who was there in the 1920s. Thirdly, I had a couple of good meals there and I doubt I'd be disappointed very often. Hand spun custard what?!? Sounds amazing! By the way, I'm a community manager here and I helped you geo-tag the cafe in your answer. For future reference, you would use the @-symbol then the name of the business :) Thanks for sharing!! Easy. Buzz's Lanikai across from Kailua Beach on Oahu. Give me my red meat!! Or any other meat cooked and served at Buzz's. Food is consistently excellent, service laid-back and friendly, and parking easy. Of course, I would be living in Kailua or Lanikai or Waimanalo and for me, that would be the equivalent of heaven! Floridian Restaurant in downtown Fort Lauderdale. They are open 24/7, serves generous, affordably priced good eats, have indoor and outdoor dining, a casual atmosphere with nice staff. I love breakfast and lunch there and even Thanksgiving dinner once. International: New Bukhara's in Sukhumvit. A spectacular Indian restaurant-- great ambience and unbelievably delicious food. We ate there several times when we were in Bangkok on an around the world trip, and it was the best food we have ever had. I still dream about it! United States: Buddakan in Philadelphia Amazing place to eat-- many options for tables and gorgeous decor, including a giant Buddha. The food is sublime-- and plenty of variety so you wouldn't get bored. It's the perfect mix of continental options. Award-winning steaks, fun stuff, burgers, traditional pub fare. It's all good. Sounds like a great spot! So after some thinking about it I would say that Tram's Kitchen in Pittsburgh Pa. would do it for me. Myself and my family love the place. It is a Vietnamese restaurant that has PHO that is crazy good. Rice and Noodle dishes as well. But for me its the soup, the soup, the soup. On a very cold day in Pittsburgh " and we do have them " going to Tram's is just the thing to do. It is small and kind of hidden in plain sight. It's not 5 star but it is such a cool place. Hey I'm not sure if i mentioned the soup, it's awesome. So that would be my restaurant forever. Palm Restaurant: West Hollywood !! Having worked at the Palm in West Hollywood for 13 years I know the menu is complete with many different options. . steaks, chops, the freshest fish and Italian dishes too... they will also honor any special requests off the menu. fresh vegetables or fried potatoes and onions. .
Andrew, when the Palm menu was just recited, I created Shrimp Bruno !! For me its an easy choice, Sage Plant Based Bistro in Culver City, CA is by far my all time favorite! They have everything you want, breakfast, bomb salads, appetizers, dinner menu is delicious and they have ice cream and shakes!! Let's not forget the beer garden and amazing cocktails, I looove everything about that place! Food for me is something that affects all my senses. The place that I always will remember that way is Jim's Original in Chicago. The smell of fried onions on the grill, wisps of smoke from wood fires burning in the vacant lots, the bone-in pork chop sandwiches slathered with mustard, the diversity of the clientele, everybody from cops to socialites to college students to taxi drivers. Everyone enjoying both the atmosphere and the food. I love seafood. Landshark Bar & Grill in Atlantic city, New Jersey has the most delectable oysters. Sitting right on the beach, overlooking the ocean, it has a gorgeous view. The veggie burger was great too, but the oysters were plump and fresh. Yummy!!! Just drooled reading this... solid spot! And you HAVE to get the mac n cheese when they do have it! I don't think a restaurant like this exist, but your question didn't say that I have to name an existing on. It would be a restaurant that specializes in suckling pig. What I mean is that many culture through out the globe has a version of suckling pig. I could go there every day to eat different version of this food. Since my overall favorite cuisine is Mexican, I'd have to say that if I had to eat at one restaurant for the rest of my life, it would be Frontera Grill. I mean, how can you go wrong with savory, spicy, meaty goodness coupled with exquisite sauces and freshness all around? Plus, next to Andrew, Rick Bayless has to be my favorite TV chef. Not to toot my own horn but having travelled all over the US as well as Europe, the Middle East and parts of Asia I found this a very difficult question to answer to say the least. But since the question asks for only one restaurant that I can eat at for the rest of my life and not a restaurant in each continent I will have to go with Restaurante Centenario in Faro, Portugal. Great homestyle portuguese food with dishes mostly from southern Portugal meaning lots of fresh seafood ( which I could live on just alone for the rest of my life already ). It was a touristy spot and I was skeptical at first but the people working there were very friendly and even gave wine and drinks on the house just because we promised to come back if we couldn't find something else. When we can back and told them we promised they were a bit shocked thinking we blew them off. The food was amazingly good, especially the sautéed octopus and the Portuguese style paella that was loaded with seafood. You could taste the freshness of the seafood being as it was freshly caught earlier that day. They even had live music which they did weekly. The prices weren't to bad either! Yup I could eat here the rest of my life with a different dish everyday! Your answer makes me want to jet off to Faro just to eat here!!! I would go to Joe Natural's Bakery, Cafe and Farm Store in Leipers Fork, Tennessee. The owners grow all the vegetables, etc., raise their own beef & pork, bake their breads, make their mayo and cheeses--and on and on. Delicious and so fresh. I had a ham & cheese sandwich. The best I'll ever have. Not to forget... Great deserts too. Besides having some of the best BBQ; Killen's also serves chicken fried steak, fried chicken, pork chops, and did I mention Fred Flinstone beef ribs. He is constantly adding items to the menu, from a main course to a new BBQ sauce. McNally's Irish Pub in Sioux Falls SD or Rumors Fine Dining in Dallas SD you said 1 so I would flip a coin between those two. I'd eat Old Mill Crab House just to watch my husband in his food heaven. Amazing service; superb crabs (all kinds); and great 'other'foods as well! Oooooh, this sounds kind of amazing! The fantastic buffet The India Palace, the greatest Indian food in my city and my favorite restaurant overall. The staff is like family, always friendly and willing to educate and explain the cuisine and culture. It just feels like home. I won't cheat and say a Vegas buffet because that's obvious and easy. That being said I will also give a cop out answer and not actually say a particular place as the answer but rather cite them as an example of what my answer would be. The answer needs to have two major parts; It needs to be a place that takes pride in what they do and shows on each plate and it also needs to be a place with a menu that lacks tunnel vision. There is nothing wrong with just an Italian restaurant, or just a Mexican restaurant but if I am only eating at this place for the rest of my life then then this place needs options. For that I will say a place like the Silk City Diner Bar & Lounge in philadelphia is a great choice. While the diner has a long history dating back to the 50's it was the recent revamping in 2006/7 that makes silk city a great choice. The menu has American fare as well as Asian and Mexican which I love. It also has an outside beer garden and dining section that opens each spring with beautifully crafted cocktails under backyard style string lights without the frills but with all the ambiance you need to wear a t shirt and still feel like you are at a destination other than home. Philly has numerous places that could fit this bill and every city should. They are out there you just have to find them. Andrew if you read this on the air I will give you a high five and not charge you a dime. Your loyal listener, Brad from Dirty Jersey. LoVeg (website) because it is in Prague, is vegan, the food is incredible, they have vegan bacon!, the atmosphere is friendly, there is great music, and the menu features food from around the globe. That link isn't working, Tony. I would have to say Xi'an Famous Foods is one of my favorite go-to spots in New York city. The food is cheap and delicious. It is as if all of the soup or noodle street carts from a Taiwan or Hong Kong neighborhood decided to move indoors. The fresh handmade noodles and exotic meats, such as lamb face salad or lamb offal soup, make this restaurant stand out in a crowd or Americanized General Zhao's Chicken buffets. In fact, if I was stuck eating one ethnic cuisine the rest of my life, it would be Chinese food and Xi'an Famous Foods would be a frequent stop on my grazing rounds. Zapoteca Restaurant --Puerto Nuevo Langosta Tacos -YUM. For diversity I would have to go with Bellagio Buffet ﻿in Las Vegas. Not just the regular buffet either, they have the Chef's Table at The Buffet which has tableside carving and some custom additions to the regular buffet. A group of us went and it was fabulous. The food was great and rivaled meals I have had in sit down restaurants. Tough call...no question it would have to include Pacific coast seafood. Love sushi, but I think I'd need more variety. Probably The Bay House restaurant in Lincoln City, OR. Amazing fresh seafood dishes, and lots of variety, styles, and innovations. I've never had anything less than a superb meal there. Plus, it sits right on the beach. Oh, this is an easy one for me. I'd go with Red Arrow Diner in Manchester, NH. They're open 24 hours a day and serve breakfast, lunch, dinner, and a wonderful array of desserts all day long. They're constantly changing up the menu, so I don't think I'd ever find myself too bored. And... I'm already a regular there! I know that the question is a few weeks old... but I have to contribute what I think is a 'no-fail approach' to answering this question: BREAKFAST. Breakfast is more of a ritual than other meals, so having it the same place isn't a compromise. It's also the meal where you can do the most with few ingredients and never walk away bored. I can eat breakfast the same place every day and be very happy. The key is to find a place that really knows how to groove on breakfast. Examples? In the Twin Cities, it might be The Buttered Tin. In Milwaukee, it might be Blue's Egg. In San Diego, it might be Hash House a-Go-Go. A good breakfast can fuel a light lunch -- and the opportunity to follow it up with a great dinner at any restaurant you want to explore. The restaurant would have to be in my home city (St. Louis) since I am going to eat there every day. Any one of Gerard Craft's four restaurants would do...today, I say Pastaria. I'm a sucker for pizza, but I love all the salads on the menu, too, and don't forget the pasta and ever-changing gelato flavors. I have to stay local with that one. I would go to Fragments Cafè every day of my life. Their creations and the unique atmosphere are just so lively and down to earth. I have absolutely no idea what the name of the restaurant is, but there is a Dim Sum restaurant in San Francisco that I dream about. My family went there every year when I was growing up. I know that it has a red door and is in the heart of Chinatown. You go up a flight of stairs and suddenly you're in this huge room that holds a ton of people. They have the best steamed pork buns ever. Amazing. There's a tiny place just north of Valencia in Pucol called Restaurante El Rincón del Faro (www.rincondelfaropuzol.es). While many of my favorite restaurants are in Spain, this one is special because their menu changes. The owner/chef goes to the market daily to buy the freshest ingredients and creates dishes around those. Ask him what's best and he'll bring it to you. The other reason I love it is that if you want to know who to make something, chances are, he'll tell you. I also have to mention Trattoría Da Carlo Restaurant because after the first time I ate there, Carlo felt like family. It's a small family restaurant. Carlo and his wife cook. His handsome boys serve and treat you like royalty. I never have used the menu. I ask Carlo what's best and my meal is equisite every time. I do love the ensalada di pulpo (octopus salad) and the beautiful sea vegetables that I've learned to love at Carlo's place. Shopsin's in NYC in the Essex St Market. Only open for breakfast and lunch, closed Monday/Tuesday. I have literally cried because the food is so insanely good. avoid weekends if possible, or go early, as there are only 10 tables. Don't be deceived by appearances. Alinea... not only fantastically delicious food, but the delivery is a mind trip, thanks to Chef Achatz's creative genius! Hard choice of course -- but I think at this point I would have to choose Eataly Chicago in Chicago. Why? Simple -- IT'S HUGE and maybe it's cheating to call it a restaurant, but it certainly is a single location that serves all kinds of food. I doubt I would get tired trying all the different styles and combinations of different foods each day. So because of the vastness and variety I would choose it!